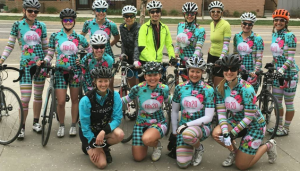 Do you want to be a part of a cycling team in your town? Is your existing team about to disband? We’re here for you, sister. There’s something really special about being part of a cycling club; there’s a sense of inclusion and proud feeling of “hey, there’s one of my teammates!” when you see them ride past. 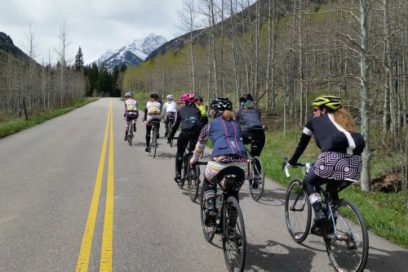 Most cycling teams implode or fizzle out after just a few years because the leaders burn out and/or need to focus on their real job, busy life, and time on the bike. We’ve got it figured out. Team ten20 has successfully started a satellite team in Wisconsin, so we’ve already got the guinea pig study out of the way. Following is what you need to know. 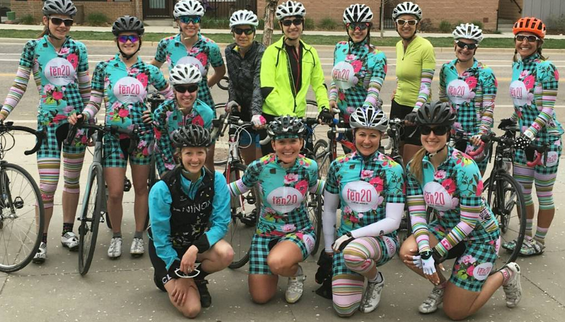 Team ten20’s president continually communicates with sponsor contact, negotiates and signs the deal, and ensures execution of sponsor agreements (*a local bike shop for a discount, maintenance/skill clinics is ideal for each satellite club. Also, if you have existing contacts who may be interested in supporting the team as a whole, we’d love the introduction!). We insure the team and leaders. We’re also lawyered up. Kit design, ordering, and distribution are an organizational and logistical tangle. We’ve made the kit thing easy. And cute. And performance-driven. Bam. Our infrastructure is set with an informative website, newsletters, social media accounts, and an ever-useful TeamSnap calendar app. All at your disposal. We take care of overall team communication to members as they join plus throughout the year. You just need to communicate on local rides, clinics, events, and meetings. We’ll handle membership registration and collection of dues. You’ll receive shipments of sponsor goodies for meeting raffle items, and giveaways at meetings or rides – amazing how people show up when free stuff is promised. You’ll receive funds to buy food and sponsored beverages for after rides, meetings, and an end-of-year bash. Satellite club members get a discounted membership rate. Leaders get extra perks for all their time spent. 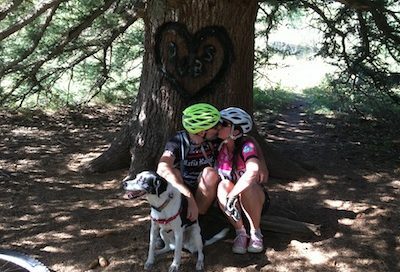 Cycling lovers! You don’t have to be the fastest, or a racer, or the one with the most annual miles. Just love the sport. Dedicated to organizing rides, occasional meetings and clinics. This is a minimum of 4 a month. Rides can be weeknights and/or weekends. Willing to be the friendly go-to person for local members and prospective members. Ladies have lots of questions and expect them answered within a day or so. Communicative to the local team via TeamSnap, and/or Facebook group, and/or Google Group, and/or emails. Welcoming to new recruits – once women see your kits, they’re going to want to be a part of the club. A partner who’s not shy to reach out to the Colorado head for advice, support, and questions you can’t answer. We won’t leave you hangin’.